When your brands are as impressive as HP and Intel, how do you make an appropriately grand statement to introduce your new product line? Go big--and leave no doubt in the minds of your retailers, influencers and trade media that you are the dominant players in your category. 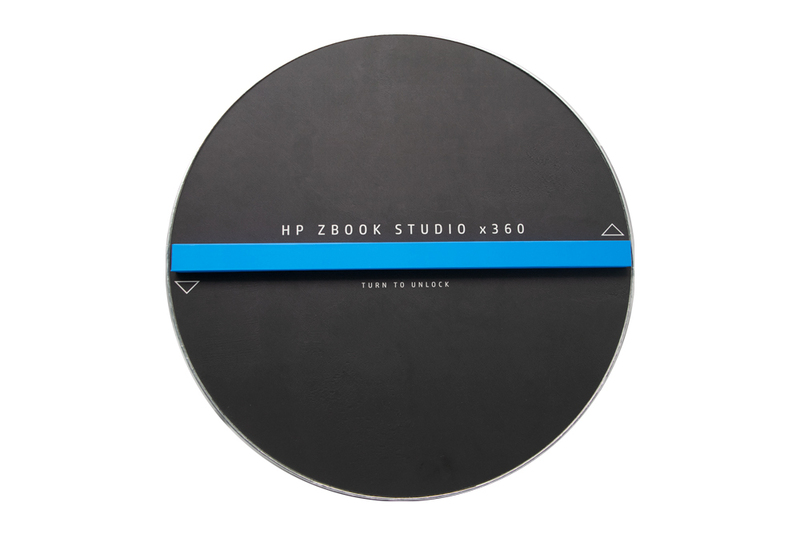 Americhip partnered with HP, Intel and their agencies to produce an amazing specialty package to hold the new Z Book Studio x 360. 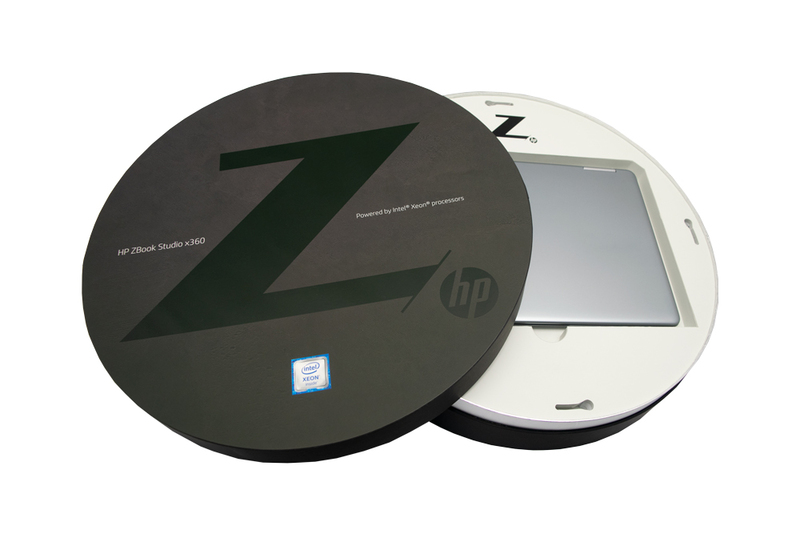 Let’s start with size: the circular package is 20 inches across and 5 inches tall. The sheer heft of the package is enough to impress. But the elegant design also elevates the launch kit from just a large package into a sophisticated statement. 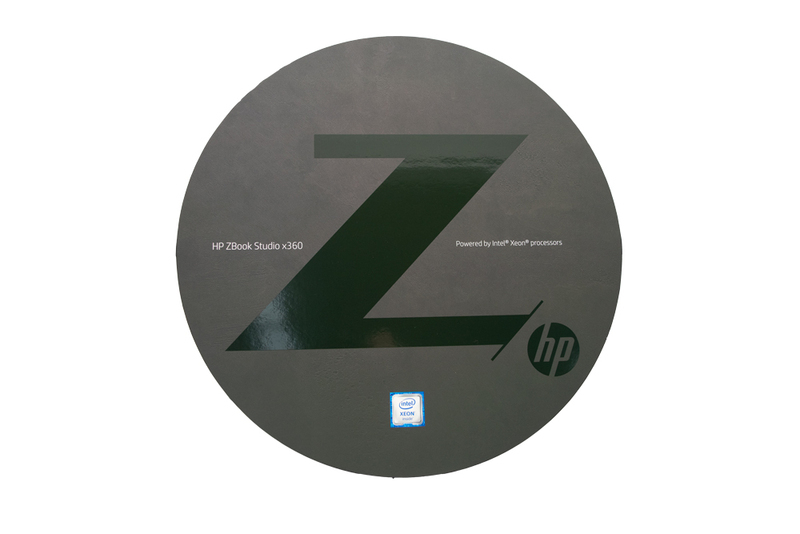 The textured overall black design is set off on the cover with a large spot gloss UV "Z" with the only color coming from the Intel Xeon logo. The circular lid lifts off to reveal a teal blue locking bar atop a second panel. For added drama, recipients then need to twist the bar to unlock the second level and expose the Z Book in a two-tiered field of bright white, high density foam. By the time recipients reach the enclosed Z Book there is no doubt that they have engaged with the height of sophistication and innovation. Let Americhip create this kind of sophisticated elegance in your next introductory package—your consumers, channel partners and retailers will thank you for it.